The Union Budget 2017-18 will be announced on February 1 and is expected to be a departure from what has been presented in the preceding years. This year, though the emphasis will continue to be on all-encompassing growth and employment generation, India’s domestic economy needs a major push to up its slowly dipping Gross Domestic Product (GDP), more so post demonetisation. Expectations are high on a reduction of corporate and income tax slabs, a road map for the roll out of GST (Goods and Services Tax), promotion of digitalization of the economy, special incentives to start-ups, construction and housing sectors amongst others. 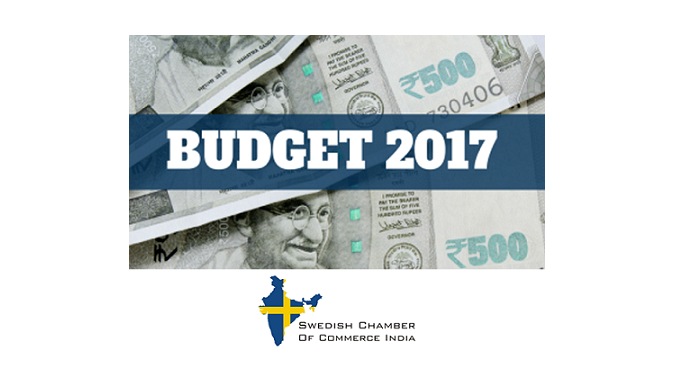 The Swedish Chamber of Commerce India along with Knowledge Partner KPMG, is pleased to invite you to a session on the key outcomes of the Budget 2017-18.